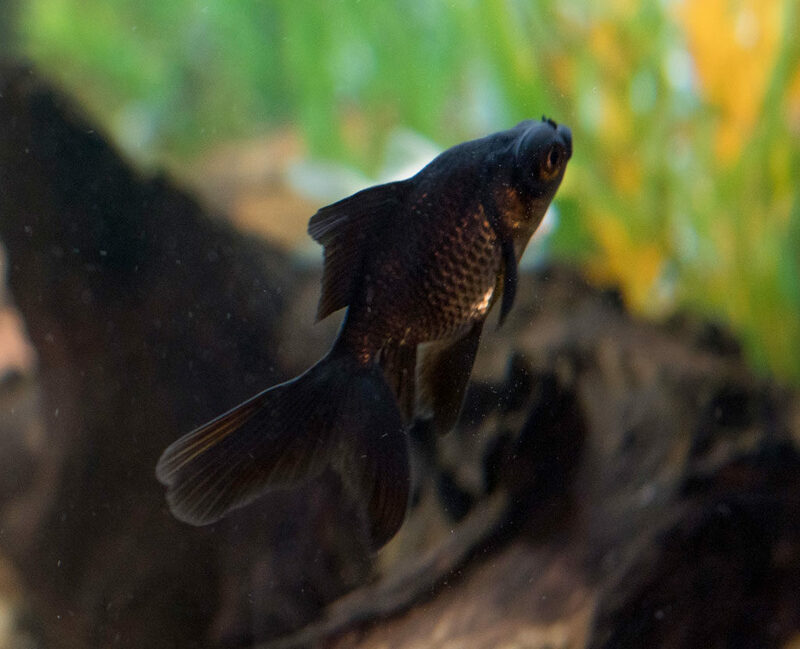 Imagine a fish that wiggles all the time and is cute 24 hours a day, that’s how the Black Moor do. It’s happy to see you, very friendly, and loves to eat. These little guys can swim with the bigger fish and don’t seem to be bothered by anything.